Hold'em and Omaha are by far the most popular poker variants played both online and in land based poker rooms, but they are not the only variants, as you probably know. There are many other popular poker versions played around the world - one of them, Stud poker, is played in so many versions that you might have already played it, but you don't even know. So, let's take a look at Stud poker, shall we? Stud poker is a version of the popular game where a player receives a mix of cards facing up and down. 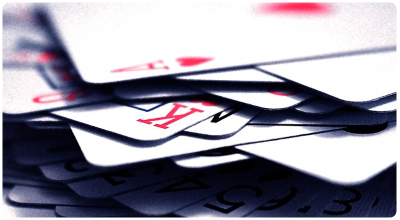 The cards are dealt in multiple rounds, so there are plenty opportunities for placing bets. Stud is a non-positional game, meaning that the player placement compared to the dealer changes from round to round - the player to bet first is usually decided by the hand the player's revealed cards form. The first Stud variants played in the United States were three card versions of the game, with a five card version starting to appear during the Civil War. Today the most common version of the game is seven card Stud, played in most casinos and poker rooms both online and in real life. The rules of the game differs from variant to variant. Betting limits are set before the game starts, with a small and a large bet amount - for example, $10/$20. Seven card stud has no blind bets, but all players must place an ante bet (usually 10% of the large bet), which goes straight into the pot. The dealer gives each player (toward the left) two hole cards (facing down) and a third card facing up - this is the door card, or window card. The player with the lowest value door card will be the one to start betting - "bring it in" in stud jargon. The bet needs to be either equal to the value of the ante bet, or enough to complete the bet to the small bet amount. The action goes on toward the left - the next player can either fold, call (match the previous bet) or raise - but only if the player to "bring it in" has placed the minimum bet, equal to the ante. In this case the player completes the bet amount to equal the small bet. The betting round is followed by another card being dealt, also facing up. The first player to act in all the next betting rounds is the one with the highest value show cards (revealed cards) on the table. If no bets are made, players can check, or they can call (match a previous bet), bet or fold. Another card is dealt facing up, followed by a similar betting round, but with the big betting limit. The next card is also dealt facing up, followed by another betting round. The final card is again dealt face down. The final betting round - with the big betting limit - and the showdown follows. The players still in the game are required to form the best possible hand using the seven cards they have been dealt. The hands are evaluated using the standard poker rules. If two players have the exact same hand value, the pot is split between them. Stud poker is played in a great variety of versions: three to seven card versions, lowball, high-low split, Razz, Sökö, Kentrel, Chicago, and many more.